One of the world’s largest and longest-running gatherings of investment professionals will return to North America this May: The 69th CFA Institute Annual Conference will be held at the Palais des congrès de Montréal in Canada. Visit Notre-Dame Basilica of Montréal, the first Gothic Revival–style church to be built in Canada. The basilica’s many works of religious art include paintings, sculptures, and stained glass windows illustrating biblical passages. Ride a bicycle along the Lachine Canal bike path, and stop at the Atwater Market on your way to the Clock Tower Beach in Old Montréal. Climb Mount Royal, and explore the lookout in Mount Royal Park, which was designed by Frederick Law Olmsted, the same landscape architect responsible for New York City’s Central Park. Montréal Tourism recommends giving yourself two hours to explore. Relax in one of Montréal’s spas: Bota Bota is a contemporary spa in an old ferryboat docked at the Old Port, while Scandinave Spa is an urban spa in the heart of Old Montréal. Additional details about Montréal’s historical venues and great restaurants can be found on the Montréal Tourism website, which has assembled the 2016 Guide to Montréal (for Conference Attendees). 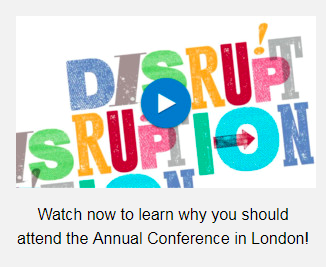 If you are unable to attend the 69th CFA Institute Annual Conference in person, you can still watch select conference presentations online. Receive additional updates about the conference by subscribing to the CFA Institute Annual Conference blog. This entry was posted in Event Details and tagged Montreal. Bookmark the permalink.